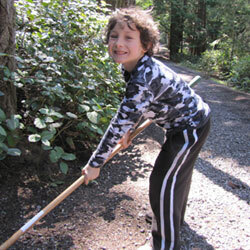 Enjoy springtime in the San Juan Islands and help us get the island and camp ready for summer. Arrive Friday evening for dinner and a relaxed evening. Saturday and Sunday, split the day between work and play. Work inside or outside at a variety of tasks designed for all ages. Tools and gloves are provided. Then take a spin around the island in a kayak or sailboat, swim in the heated pool, play tennis or try your hand at archery. Bring your enthusiasm, your friends, co-workers, family and anyone else who would enjoy a weekend on the island! $45 per person pays for boat transportation round trip to the Orcas Island ferry terminal from Canoe Island and meals from Friday dinner to Sunday lunch. In light of the gap between the US and Canadian dollars, we have reduced the price of this Family Weekend to better match the status of the Canadian dollar. Please contact us at 360.468.2329 if you have any questions. 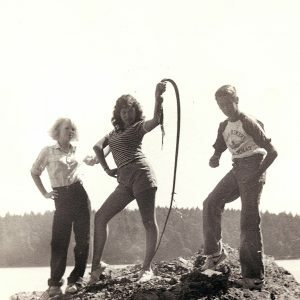 Relax on Canoe Island with your family while exploring the natural history of the San Juan Islands and experiencing French culture and cuisine. 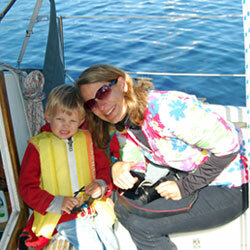 Sailing, kayaking, swimming, tennis, exploring tide pools and campfires. This is a great way for potential campers and parents to learn more about the island and our programs together. Arrive Friday late afternoon or evening; multiple options for Monday departure. Meals will be provided from Friday dinner through Monday lunch. 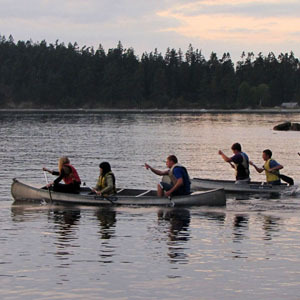 Relax on Canoe Island with your family while exploring the natural history of the San Juan Islands and experiencing French culture and cuisine. 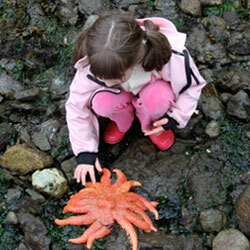 Sailing, kayaking, swimming, tennis, exploring tide pools and campfires. This is a great way for potential campers and parents to learn more about the island and our programs together. Arrive Friday late afternoon or evening; multiple options for Monday departure. Meals will be provided from Friday dinner through Monday lunch.